Marking Vibram’s first foray into the traditional duck boot category, this partnership is revolutionary on many fronts with the IceTrek outsole technology making the collection the most technically sound, gripping duck boots ever built. The collection launches for Fall 2016 with five designs for women and will also re-introduce men’s to the Sporto brand with a capsule collection of four varieties. Each product will be constructed with handcrafted all-weather treated fine leather uppers and will feature traditionally vulcanized rubber shells and outsoles built for superior traction on wet, dry and icy surfaces. The herringbone design on the sole, also seen in the majority of professional athletic shoes, is punctuated with bold color to emphasize its technical properties and provides extra grip. Styles will also feature Thermolite and wool insulation in the footbed with novel duck head inspired detailing along the side. Prices will range from $110 - $140. “The first challenge was actually designing a duck boot, a rare style in Vibram’s wheelhouse. I looked at many different iterations in the market, past and present, and noticed they were essentially the same design repeated. I wanted to change that, and maintain Sporto’s traditional DNA but also infuse modern technological design influences, ” stated Robert Lee, Designer of Vibram. Sporto is currently available to shop at top-tier global retailer partners, including national department stores, specialty footwear retailers, national footwear retailers, online retailers and iconic independent retailers. For more information, visit: www.sporto.com. 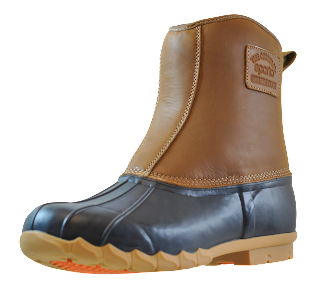 With a heritage dating back to 1872 as The Gold Seal Rubber Company, Sporto is known as makers of The Original Duck Boot ™, delivering the promise of water-protectant footwear that’s built on traditional, authentic and handcrafted design for today’s modern consumer. 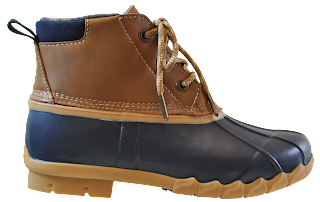 Rooted in the success of its classic duck boot design, Sporto champions its classic silhouette season-to-season, tailoring both it and its broader collections to further encompass modern trends and fresh materials, for both work and play, with a dedication to producing fashionable, water protectant footwear. With Sporto boots and shoes, there's no need to worry about the weather report. Get out and enjoy every season. Sporto styles are crafted to bear the elements so you don't have to! Shop Sporto styles at top-tier global retailer partners, including national department stores, specialty footwear retailers, national footwear retailers, online retailers and iconic independent retailers. Vibram is recognized worldwide as the leader in high performance soles for outdoor, recreational, work and fashion footwear and is relied on by the world’s greatest climbers and athletes. Vibram soles have gone on to conquer Mt. Everest, K2 and a host of the world’s tallest peaks. Today, the company works with premium brands including Danner, La Sportiva, Lowa, Merrell, Red Wing, Scarpa, The North Face, and many more. Vibram’s FiveFinger shoe line is on the cutting-edge of the minimalist footwear trend. Visit Vibram.com for more info. 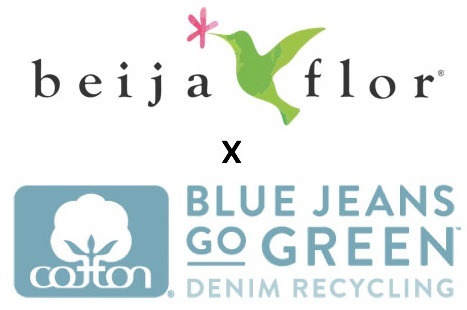 Thank you for taking the time to read our footwear industry blog post. We hope that you have found this news to be informative. You may also want to read our previous footwear blog post about duck boots.